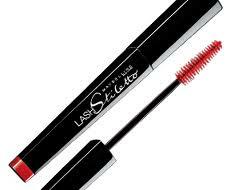 My favorite mascara of all time, is the Lash Stiletto by Maybelline. It lengthens my lashes and gives me that deep black shine on my lashes and doesn’t weight them down, which is what I love in a mascara. I hate wearing mascara and feeling like my eye lids are heavy and weighted. I use the waterproof version, which lasts as long as I want them to. Try this out and see for yourself. Enjoy! lol yes they did do a good job with that.